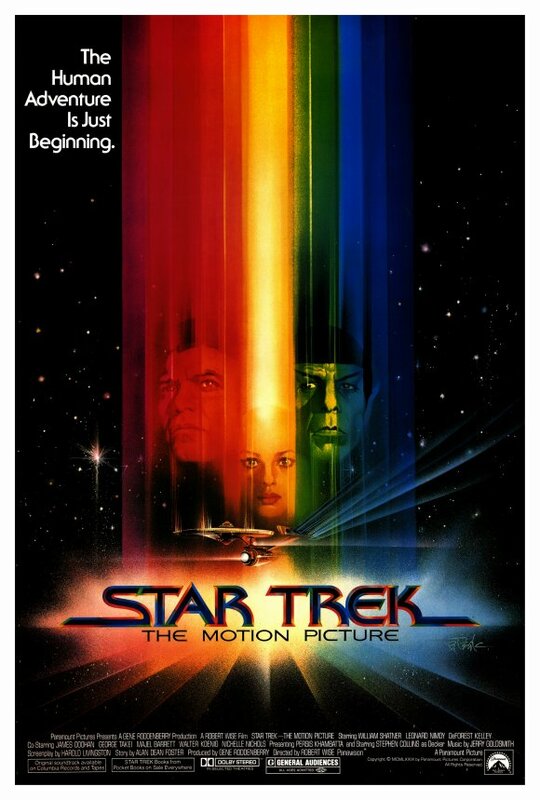 We’re starting with the first Trek flick, the much-maligned Star Trek: The Motion Picture. I’m not a huge fan myself. But my son is. In fact, it’s his favorite of all of the Trek movies. It seems that at 17, he doesn’t have a starship’s worth of baggage and is able to judge the movie on its own merits. More dilithium-fueled power to him, I say. 1. V’Ger is the coolest ship in the Star Trek universe. In the theatrical cut, we don’t even see the ship’s exterior in its entirety. Because of its extraordinary size, we only see parts of the mysterious vessel. 2. The return of Captain Kirk and the old gang. For the first time in 10 years, the original crew of the Enterprise was embarking on a mission to save humanity, and to see them as more mature and experienced really adds emotional continuity to the Trek universe. 3. The Enterprise. I know we see the Enterprise in every episode of the Original Series, but seeing it with this kind of scope makes my neck hair stand up. 5. The Klingons. They only have a few minutes of screen time, but in The Motion Picture, we see the first glimpse of what modern-day Klingons look like, with their ridged foreheads and Germanic language. 6. Admiral Kirk’s uniform. Kirk’s uniform at the beginning of the film is easily the best Star Trek uniform of all time. It stands out as authoritative and is symbolic of Kirk’s growth since we last saw him. 7. All the uniforms, actually. Most people hate the uniforms, but they look so damn comfortable. 9. Vulcan. We barely saw Vulcan on the Original Series, but our glimpse of Spock’s homeworld in The Motion Picture is really compelling. 10. The visual effects. The effects are better than any other Trek film. From the look of V’Ger to the Enterprise moving through space to Spock’s encounter with V’Ger’s history, the visuals in the film are awe-inspiring. 11. Boldly going. The sense of discovery and the voyage into the unknown gives this film an epic feel that other Star Trek films lack. You’re left with a sense of wonder about the universe. 13. It could actually happen. Sort of. So maybe the film’s a bit far out in that it tells the story of a little space probe from Earth turning into a planet-destroying machine with a mind of its own. But, when you really think about how little we know about our universe, the possibility of our Voyager probes coming back to Earth with advanced technology isn’t so crazy. 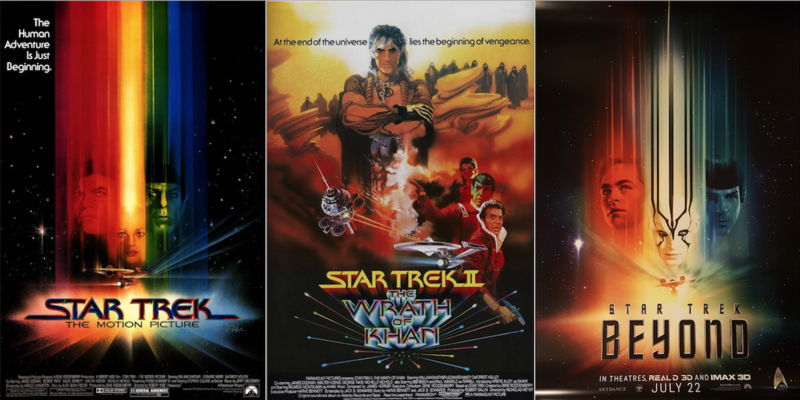 For the STAR TREK MOVIE WEEK INDEX, click here. Also Kirk’s last line “(dreamily) Out there. (catches himself) Thata way.”. What a *GREAT* line & so perfect for Kirk. Agreed. The first of the films are all under rated and all very, very entertaining. Totally agree it’s underrated. Also it shows Spock’s evolution where after connecting to V’ger he finally comes to terms with his human half. He seems more at ease with it in Star Trek II so the events in TMP did affect him. Thank your son for hitting the nails on the head! I have always loved this film and thought it a proper re-introduction of the franchise. Besides, it was NEW STAR TREK!!! Dan, thanks. This really needed to be said. After all those years of being told “You’re being too cerebral! Just punch out the bug-eyed monster, kiss the green chick and stick to the budget we gave you,” the team could be forgiven the excesses of finally being able to get nerdy, spend time on character development, and go on an SFX shopping spree. And totally agree about the uniforms! Not only did this need to be said, it needs to be shared. Would you mind if I re-blogged this on my site? I worked on the visual effects for the original theatrical version and we were way too under the gun to make the deadline. The version that ran in theaters was not a really a refined final edit. I highly recommend that everyone seek out the DVD of the Director’s cut that Robert Wise finished about 2000. It really is what was intended. Ron Thornton completed all of the visual effects that we never had time to properly finish, too. If you’re a Star Trek fan, you’re likely a bit jaded about the first Trek film, The Motion Picture, but this article written by a 17-year old is very inciteful. I’m probably one of the least jaded fans about TMP, but I think I’ve even less jaded now for having read this. Thanks for the comments, Marc! Great article and you hit the nail on the head. Is so underrated. I think why some people don’t like it is because they thought it was trying to hard to be 2001: A Space Odyssey. I agree with both the supporters and the critics of this movie. It’s bold and it’s boring; thrilling and stultifying; not what “Star Trek” should be and exactly what it was all about. One thing I never hear is how much it bookends the wonderful “Where No Man Has Gone Before.” First, the structure of the movie adheres to the original structure Roddenberry envisioned for the weekly “Trek” — that the crew were there to facilitate stories about guest stars (what was meant by the shorthand description Gene gave of “‘Wagon Train’ to the stars.”). Think of the first handful of episodes of TOS. 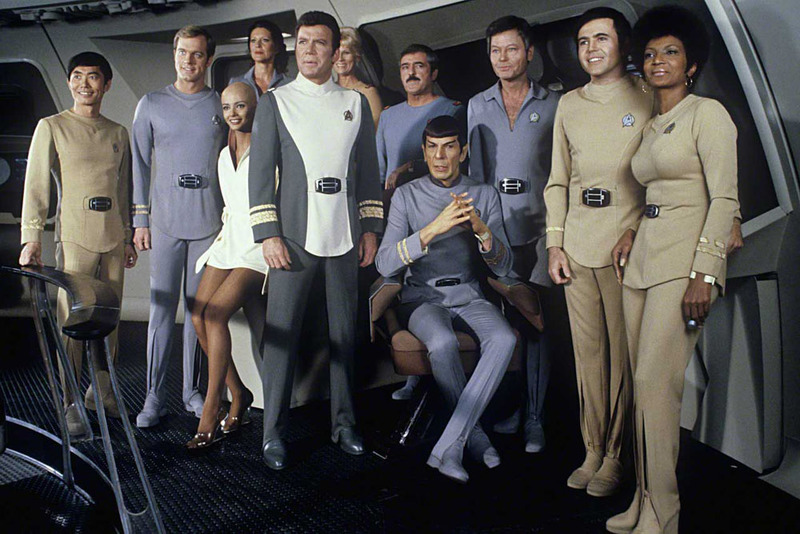 Almost all had featured guest characters who create problems for the crew and whose problems are solved by the crew (Gary Mitchell and Dr. Dehner; Ensign Bailey; Charlie Evans; Mudd and his Women; Lenore Karidian, etc.). It was only later that the show became more about the principle characters. We see this original story structure echoed in Decker and Ilia. This plot has often, and justifiably, been compared to that of “The Changeling,” but I would argue the plot also echoes “Where No Man…” in that a couple of ordinary humans are affected by a powerful, ineffable force that transforms them. In WNM, to expose humankind’s frailty; in TMP, its potential. This movie is thoroughbred “Star Trek,” and it is an underrated masterpiece. This film was always underrated but it is a true masterpiece made with as much love and attention as Kubrick lavished on 2001. It is a true elevation of Trek lore away from the simplicity of the tv series and into a true reflection of Roddenberry’s vision of a splendid and utopian future. 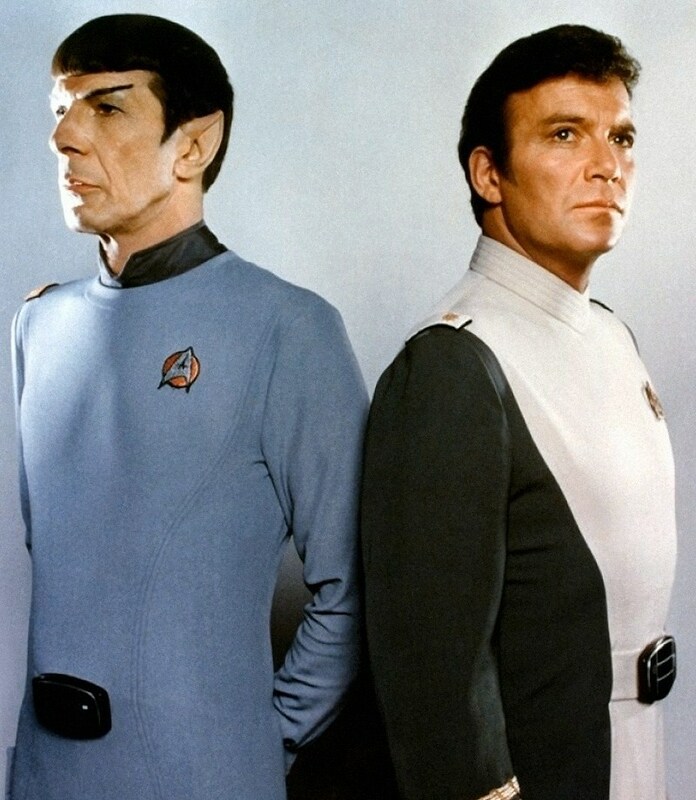 One has to watch this film with no preconceptions and on the big scree to truly appreciate its scope and one also has to look at the way it shows the development of the series’ original cast…especially the relationship between Spock, Kirk and McCoy. It’s a pity that Paramount rushed the production meaning that some effects shots (the Klingon ships cruising into V’ger’s cloud…a very visible matte bleed…corrected in the Director’s Cut and the travel pod traversing the lower engineering nacelle…the armature can be seen in reflection…also corrected in the Director’s cut) were badly composed and the script was a bit hit and miss. The overall effect work by the Dykstra/Trumbull pairing are superb and have not been matched in these days of CGI.